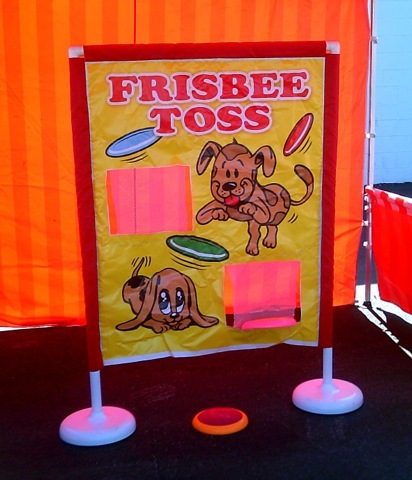 This is a game that stands 5 ft high and 3 ft wide. Toss Frisbees into the nets. It’s not as easy as it looks.